Tom Fletcher inspects the platform of the B.C. Conservatives. 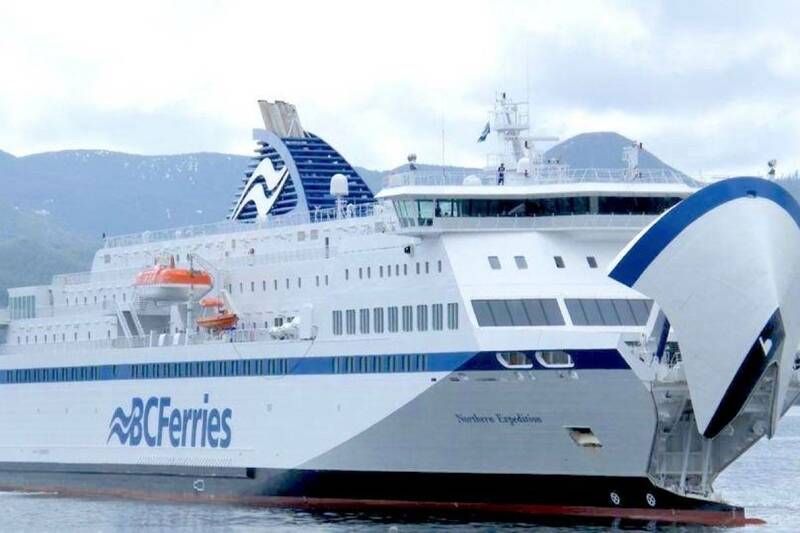 VICTORIA – As the B.C. NDP launched its election campaign last week with a package of income tax hikes, higher than those in the B.C. Liberals’ election budget of February, a third party leader toured the province with plans to get rid of the carbon tax. It’s not readily apparent from his recently released “fiscal framework” document, but B.C. Conservative leader John Cummins told me his plan to phase out B.C.’s carbon tax does not include raising income tax rates that were lowered to make the carbon tax “revenue neutral.” He predicts revenue growth. I reached Cummins in Prince George, where he was continuing his aggressive courtship of northern B.C. with an announcement that federal gas tax revenues would be redirected to a new fund for locally determined road improvements. Earlier he vowed to study the deplorable state of northern ambulance service. Cummins has more good news for the north: that’s where a regionally phased elimination of the carbon tax would begin. It’s also the area of thinnest population, meaning the impact on the B.C. treasury would be less. This is, after all, a tax budgeted to bring in $1.2 billion in the current year. The B.C. Conservatives continually remind people that the carbon tax falls disproportionately on rural, remote and particularly northern folks who face long distances, long winters, and public transit options ranging from slim to none. This has ceased to be much of an issue for the urban B.C. majority, who are focused on bridge tolls, ferry fares and the like. The B.C. Conservatives decry the population decline of rural B.C., with international immigration almost exclusively going to big cities, while temporary foreign workers increasingly fill agricultural and industrial jobs in the Interior. The party’s still-evolving platform echoes the NDP’s call for more skills training and increased completion rates for trade apprentices. Cummins is in favour of the proposed Northern Gateway oil pipeline and the massive buildup of infrastructure needed to add liquefied natural gas to B.C.’s energy export mix. He sees that enormous industrial expansion as the path to shift population growth beyond the south of the province. Cummins is surprisingly cool to one industrial project, the proposed Site C dam on the Peace River, calling himself undecided. He also sounds skeptical about the B.C. Liberal plan to extend B.C.’s electricity grid and use that to develop further independent power. This sounds to me like political positioning rather than economic analysis. An anti-Site C independent candidate has significant support in Peace River North, creating a three-way struggle for a key B.C. Conservative target. The B.C. Conservative platform also totals up the billions in long-term electricity contracts with private power producers and suggests the price for this clean energy has been set too high. This is another echo of the NDP’s vague position. So if the B.C. Conservatives are gung-ho on oil and gas and think the carbon tax is a mistake, do they think there should be any effort to mitigate greenhouse gas emissions? Cummins sidestepped that question, preferring to talk about conventional air pollution, whether it’s in the Fraser Valley or as a byproduct of a northern industrial boom. As a long-time former Reform and Conservative MP, Cummins is acutely aware that the urban media will leap with extra vigour on any perceived gaffe of the right wing. Should a Conservative let slip that he’s skeptical about global warming, or worse, express a rustic view on social issues, all Hell would break loose. The B.C. Conservatives have started with the most detailed, costed platform of any party. Don’t count them out.